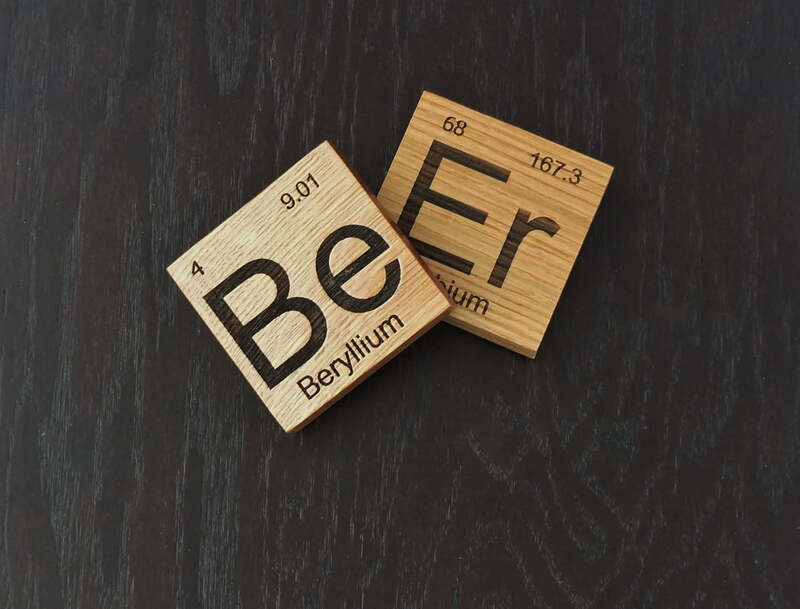 Our beautiful periodic table inspired beer coasters are a perfect gift for the beer lover in your life. These coasters feature meticulous engraving on fine North American hardwoods. Each coaster is sprayed with furniture quality conversion varnish and backed with cork to produce a beautiful, functional home decor item. These are perfect for the home bar or make the best housewarming or hostess gift.